Box of 9 ceramic trinkets representing an assortment of 9 chocolate desserts. 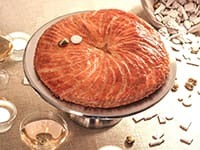 Traditionally used in France during Epiphany celebrations, one trinket is placed in every 'Galette des rois' or King Cake. 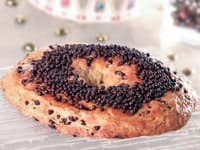 Whoever gets the 'fève' is named king or queen and gets to wear a paper crown! Note: This is a seasonal item; the restocking time frame may vary, depending on supplier availability. If it turns out to be permanently out of stock, this item will be automically canceled from your order and we will issue a refund. € 12.90 / US$ 14.51 tax incl.